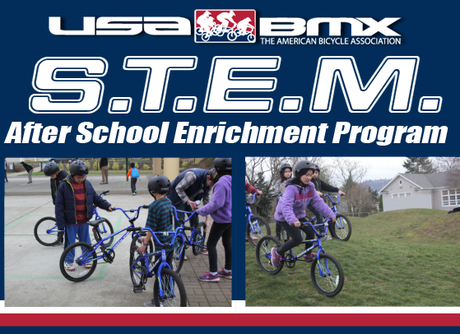 The USA BMX STEM Program at Marysville Elementary School Marysville Elementary School operated a USA BMX Science Technology Engineering & Math (STEM) Program in January-March of 2014. Five students had the opportunity to attend the class that was held twice a week for 1.5 hours after school. Rain or shine, the students were enthusiastic and loved attending the program, with perfect attendance for each day it was held. Marysville coordinated a volunteer and local Portland cycling enthusiast, Travis, to conduct the program. Travis taught the provided USA BMX curriculum lessons, including sprinting techniques, bike traffic signals, differences between road and off-road tire treads, bike maintenance, and even assembling the bikes themselves. Travis said the curriculum, “gives them a little bit of a deeper understanding into the mechanics of the bike...it’s definitely very hands-on.” The curriculum focused on aligning “STEM” lessons with important biking techniques, like balance, speed, gravity, energy, and more. 90% of Marysville students qualify for free or reduced lunch rates, so a program like this is valuable in that it gives youth an opportunity that they otherwise would not have had. The five students who participated in the program were allowed to take the BMX bikes home after the conclusion of the program, which will give them an opportunity to keep learning while being physically active. 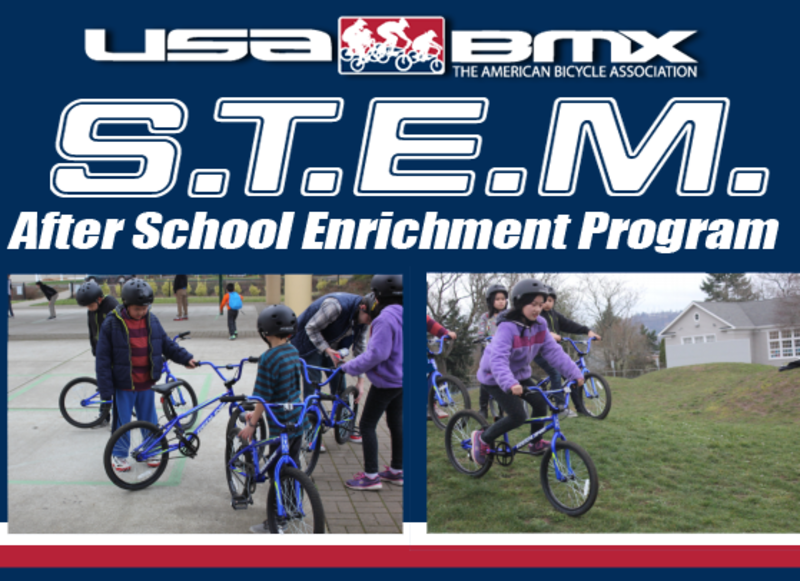 The USA BMX STEM program was an all-around success at Marysville Elementary, and would be a great fit for schools across Portland, the state of Oregon, and nationwide. It gives youth the ability to learn in more than just in the classroom, and a unique opportunity to stay healthy and active while learning. CLICK HERE to check out a Video of the Marysville STEM program in action.